Hey, friends! Today is the last day of July which means, for me, it's the last day of summer vacay (insert slow tear trickle down cheek here). I am excited tho because a new school year means new beginnings. It's like what the rest of the non-teaching world calls New Years Resolution except ours begins the first days of school, not the new year. As y'all know from my previous posts, I'm focusing with laser beam eyeballs on peace, love and kindness in my art room this year. 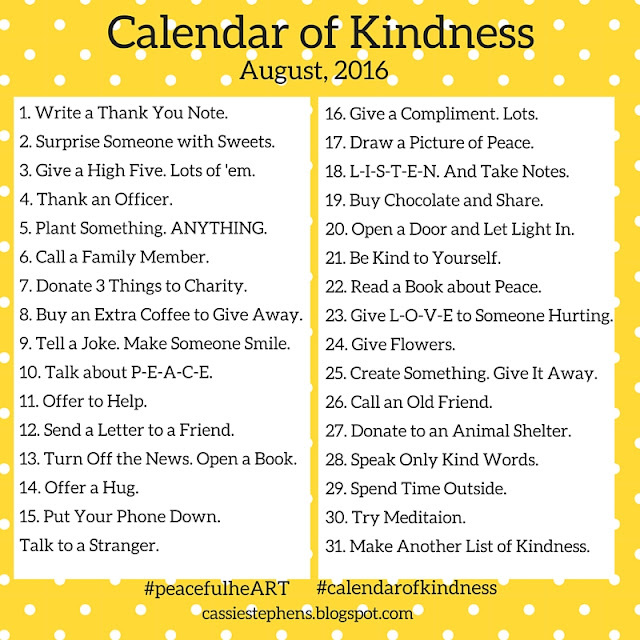 I've shared with y'all my Calendar of Kindness that I chicken scratched onto a piece of notebook paper. To save your eyeballs, I recreated this one above for y'all to share on your preferred social media sites. I also made a pdf for you to printout, hang up, pass around, wallpaper your bath, you get the idea, here. 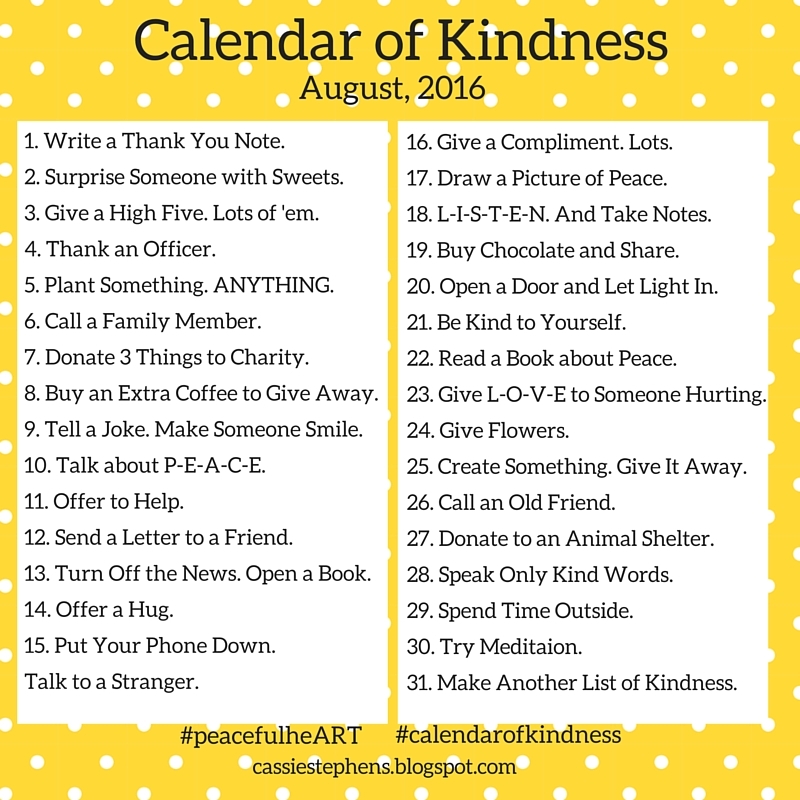 REMEMBER: When you post on your preferred social media outlet, use the hashtags #calendarofkindness and peacefulheART. You can follow along with me on Facebook, Twitter and Instagram! I'll be kicking off the first days back with my students with my version of an Escape Game (where the kids will work in teams to solve riddles that will reveal our art room rules! I'll share the lesson with you soon, I'm so excited!). 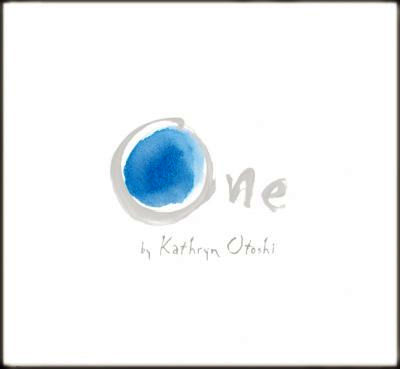 We'll also be doing a collaborative project that will promote peace, love and kindness. To inspire such, I wrote a poem to the tune of Queen's We are the Champions. I created a pdf for y'all here if you are interested. And THANK YOU so much for the positive feedback about this! I appreciate your enthusiasm and spreading the word...together, we can make our shape our students into caring individuals and make their future a bright one! 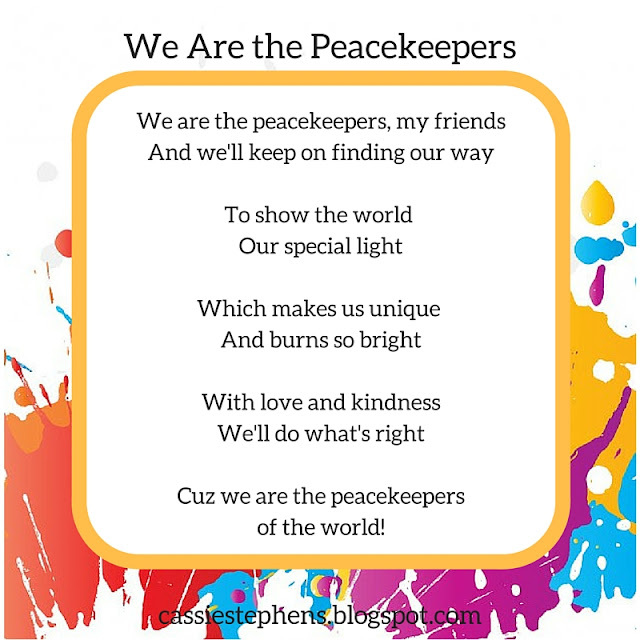 In last week's Art Teacherin' 101 blog post, I shared with y'all my concerns about teaching peace, love and kindness this coming school year. I feel there is a great need to bring this teaching into our art rooms (and all classrooms, for that matter!) and build it into our curriculum. But how? It's not a "standard". We don't have an "I Can" for that. It's not required of us...and I don't recall learning how to teach kindness (like, whut?!) in college. We cannot expect children to just KNOW how to be kind. We don't expect them to KNOW how to hold a pencil, cut a piece of paper and not spread glue all over their hand and lick it off (ahem). We teach them these things. So, in that respect, we can't expect them to know how to treat each other with peace, love and kindness. We DEFINITELY can't expect that of them when our collective actions, displayed on every news outlet, shows we don't know how to treat each other either! 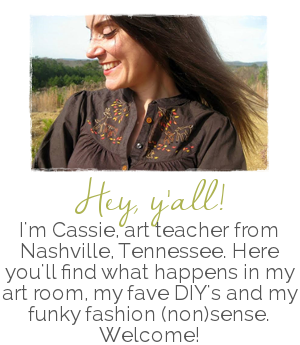 So, for that reason, I'm on a mini-campaign to bring peace, love and kindness into my art room this year. I do hope you'll join me...and share your thoughts, books and lessons in the comments below. United is how we are going to accomplish this goal. And we are doing it for the best reason possible: our students and their future. My apologies for getting a little long winded here. And emotional. I was trying to keep it together! I've been scratching my head and wracking my brain to come up with ideas. One way I thought we could kick off this campaign for kindness is with a little something I'm calling the #calendarofkindness and #peacefulheART. I do hope you (and your students) will feel free to join on your preferred social media. I know even my school district is already on board! I'll be posting in Facebook, Instagram and Twitter and using those hashtags. I can't wait to see what you share! I've also created a long list of books that I cherish and share in my art room below along with projects that I've found to be successful. Please feel free to add your two cents in the comments so that we have a growing list of books, resources and projects for peace. 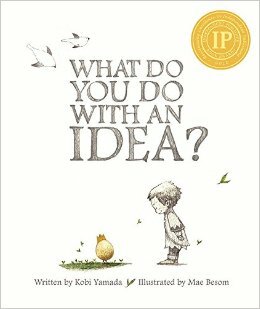 Many of my art teacherin' buddies shared their fave books with me so I'll make sure to add them here. However, I only felt comfortable speaking about the books I've actually read and used in my art room. Love the What Do You Do with an Idea...what a great book to start the art year with! 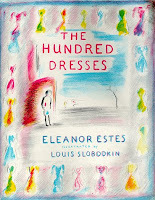 Also, The Hundred Dresses is a short chapter book. 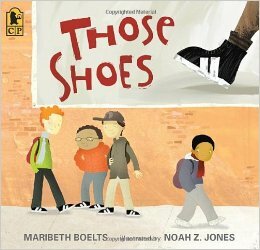 I like to read it aloud to my 3rd and 4th grade students while they work. 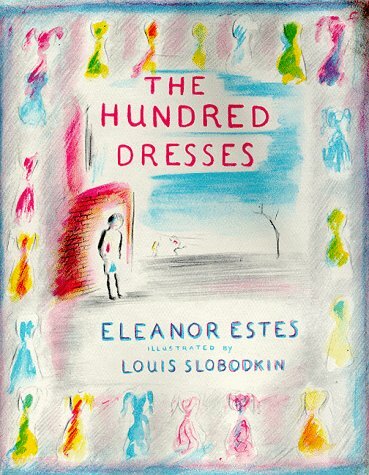 It's a book that teaches about kindness...and makes me cry every time. 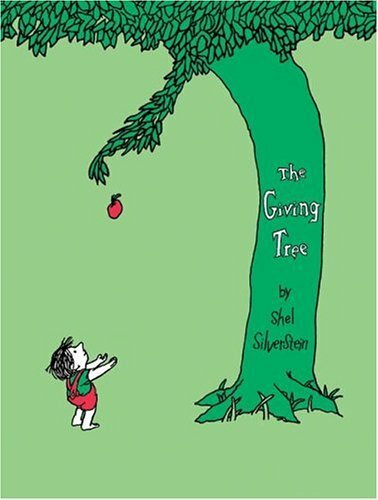 As does The Giving Tree. 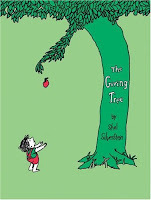 Anything Shel Silverstein has written speaks to my students, they love him! 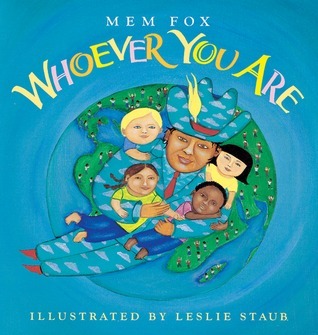 I love these books that celebrate our differences while explaining how we are also the same. 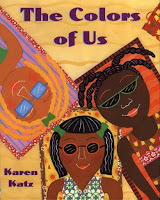 The Colors of Us is read to my students every year before we learn to mix our flesh color for self-portraits. 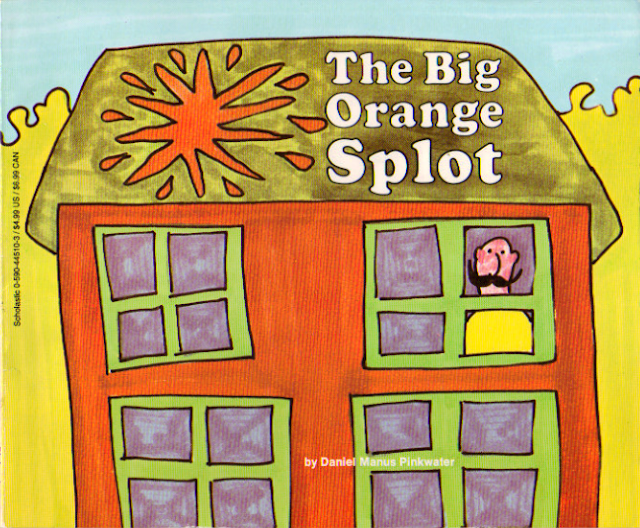 My copy of The Big Orange Splot is so worn out, I've read it to my students to much. It's another book that points out our differences and explains how that is what makes us unique. 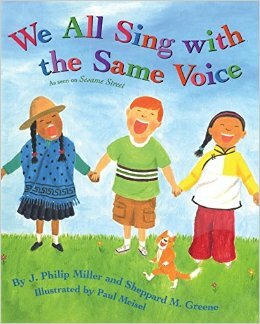 It also does an excellent job of teaching how we should celebrate the differences of others. Remember: when we teach children to first love themselves, they will be able to love one another. So anything Todd Parr writes is awesome. And happy. And colorful. Have y'all read this? It's fan-freakin'-tastic. Get it in your library stat. Also check out Linda Kranz's other book You Be You...it's excellent as well. Now, let's talk projects. 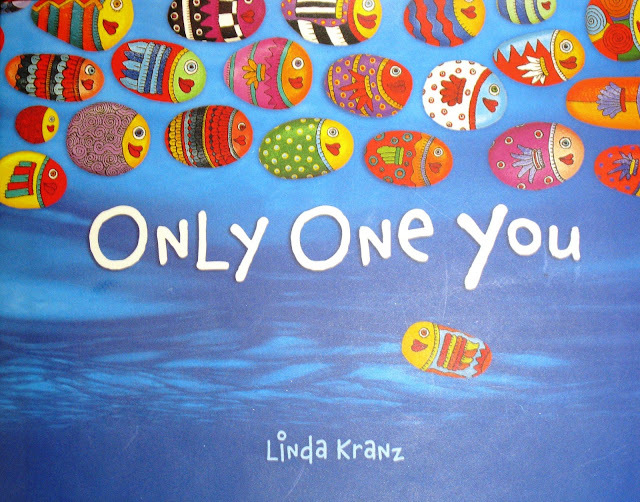 Here are a handful that I've done with my students to cultivate a culture of kindness. The Gallery of Gratitude was a huge hit. Each employee of our school was drawn and written about. 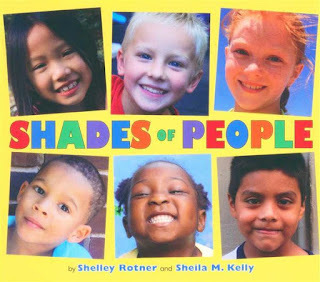 They cherished these images and words and have them on display in their offices and classrooms! This hangs proudly right outside the art room door. From floor to ceiling. 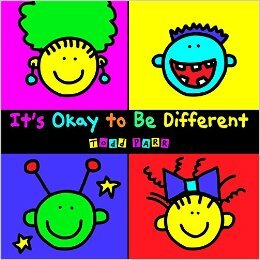 It really is OKAY! Different is grand. 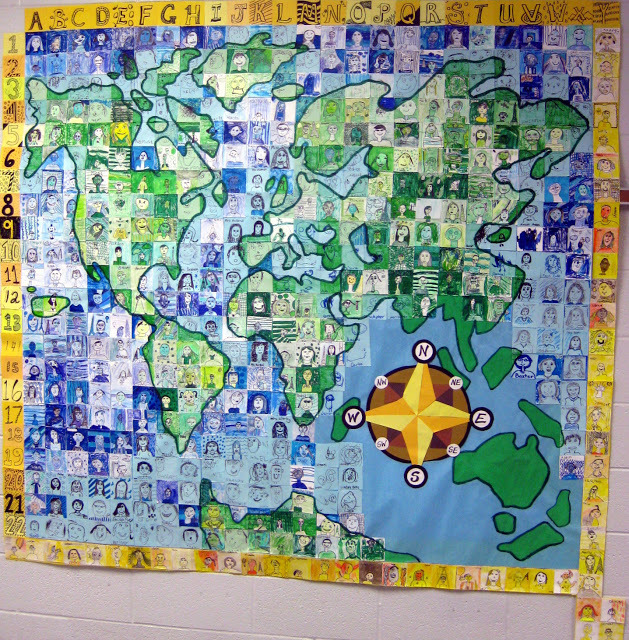 The Village of Kindness was a successful collaborative project that used recycled materials. I loved how happy, colorful and sweet this display was for our art show last year. Each house had a door that, when opened, shared a kind message. This school-wide collaborative now hangs proudly in our school office. 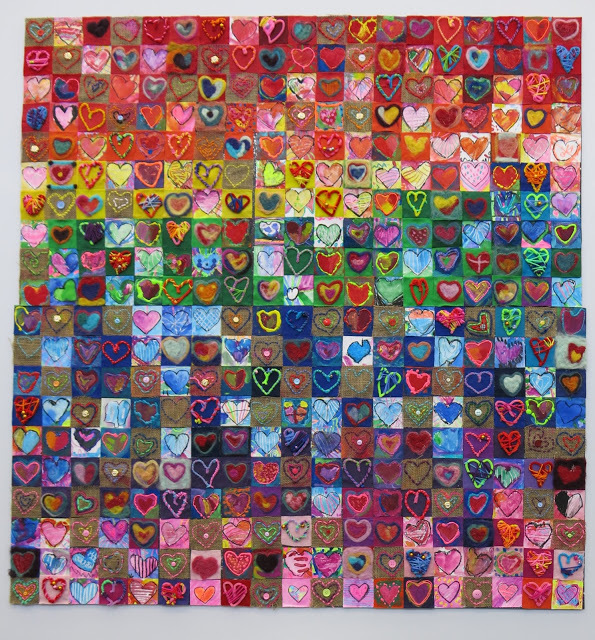 It was created by all students to show that we have heart! This love-based mural was so easy that it was my sub plan! I've created a video to teach this lesson. Feel free to use it in your art room! 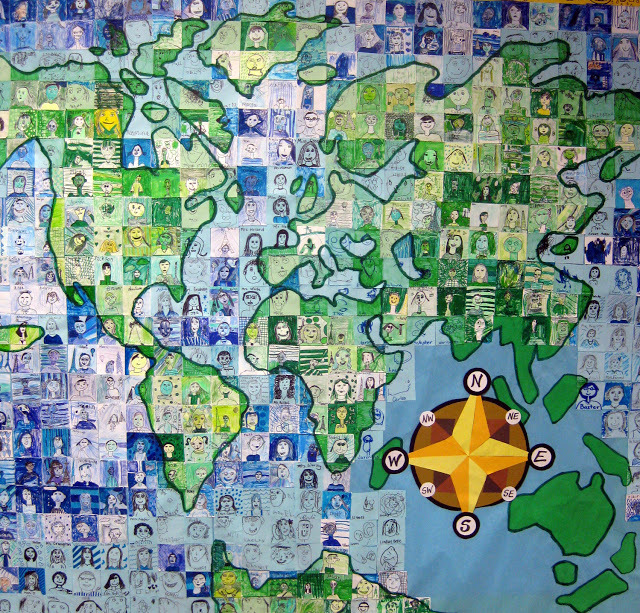 Here's an oldie but goodie that we created a couple of years ago, a We Are the World mural! It was a fun and impactful way to kick off the school year. Of course, The Dot is a great way to start the year as well. It also promotes self-love and how that love can transmit to others. 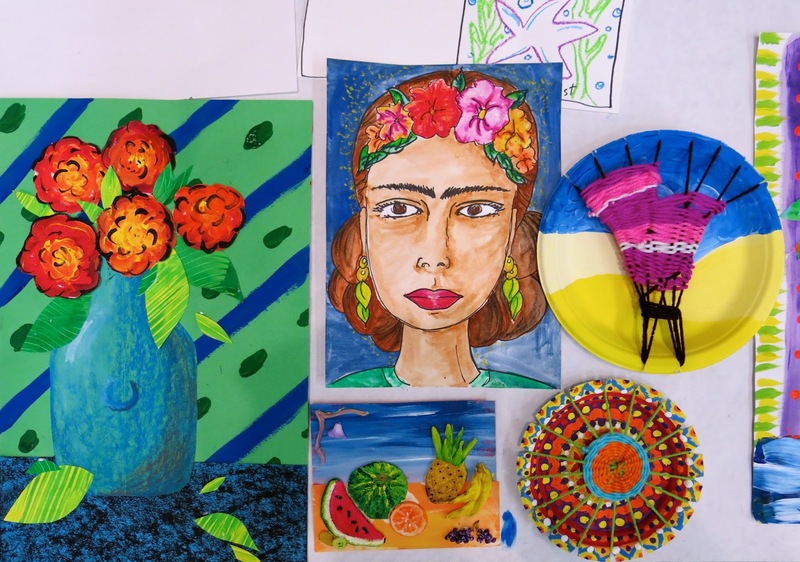 Here is a list of fun Dot Day art projects. Art can also help those right in your own backyard. We did just that with out Houses to Help project! 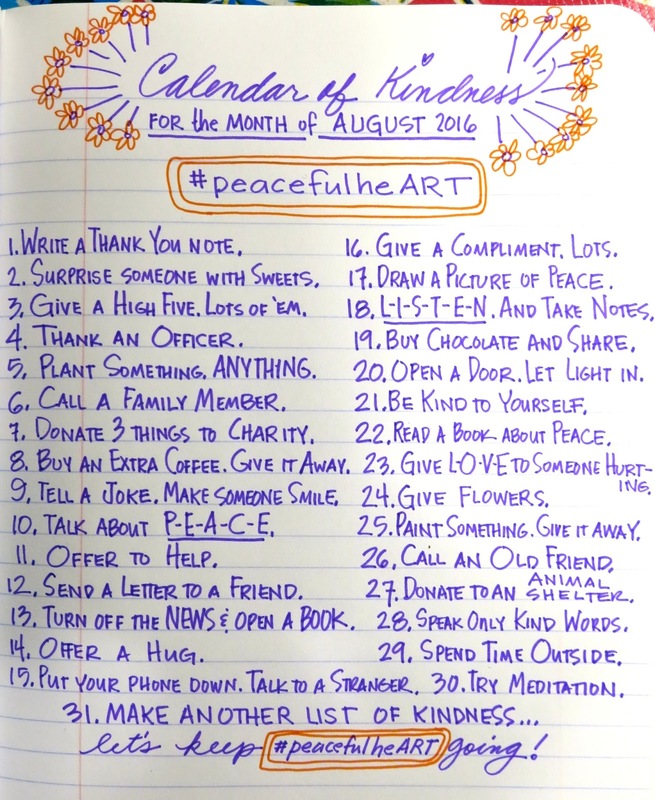 Please feel free to add your ideas below...and I look forward to seeing your #calendarofkindness images starting August 1st! 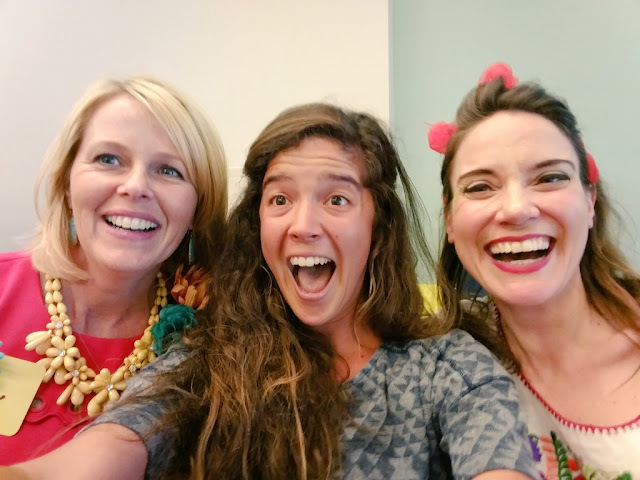 This summer has been the summer of Doin' Stuff: finishing a book, creating two Art Scout Camps with my fellow Troop Leaders, working on a coupla top secret projects (I'm not trying to hide things from y'all, I promise. More details when I'm free to share 'em!) 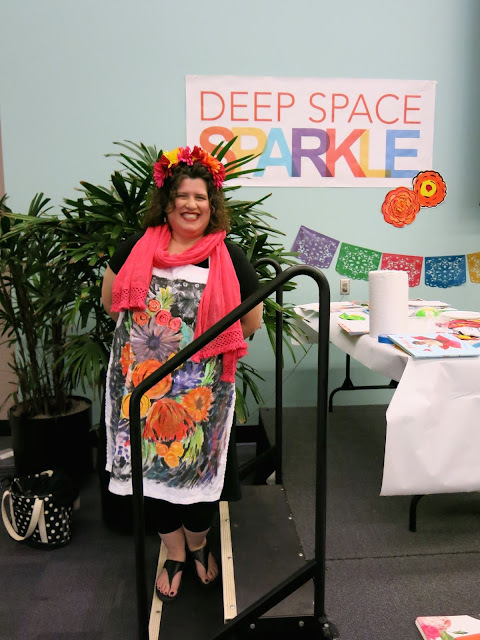 and, last but certainly not least: co-presenting with my buddy Laura Lohmann at Patty Palmer's Deep Space Sparkle Workshop! In BEAUTIFUL Santa Barbara, y'all. I've already picked out my Barbie Dream House on the beach. The theme of the Deep Space Sparkle Workshop was Latin Art and I loved that folks got dolled up for the part. 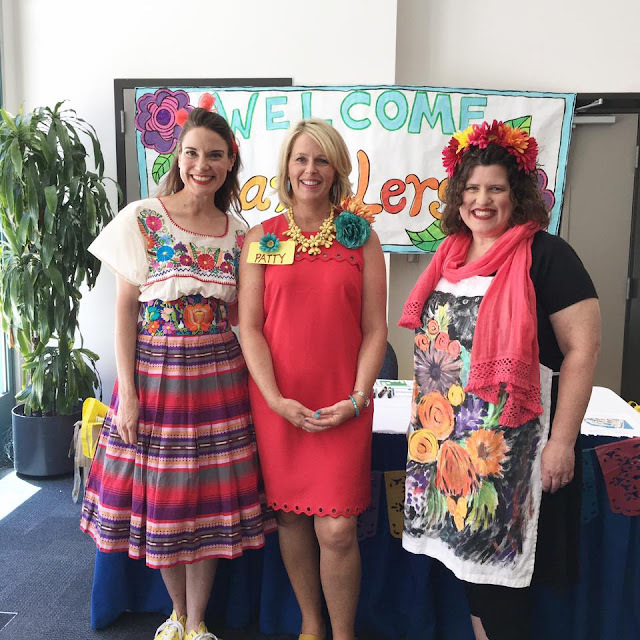 I mean, how cute are these ladies in their handmade Frida crowns? The Workshop started at a comfortable California pace at midday on Friday. Everyone was greeted with a smile and a swag bag full of goodies. To jump start the Workshop, Patty opened by chatting about establishing a mindset of making in the art room. Many of the ladies in the audience traveled from all over the country (and one from South Korea!) 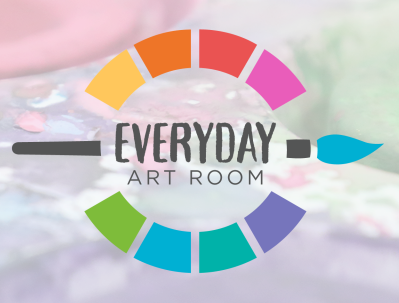 and are all walks of teacherin' life: some where art teachers, classroom teachers, special needs educators and a yoga instructor who brings art into her studio! 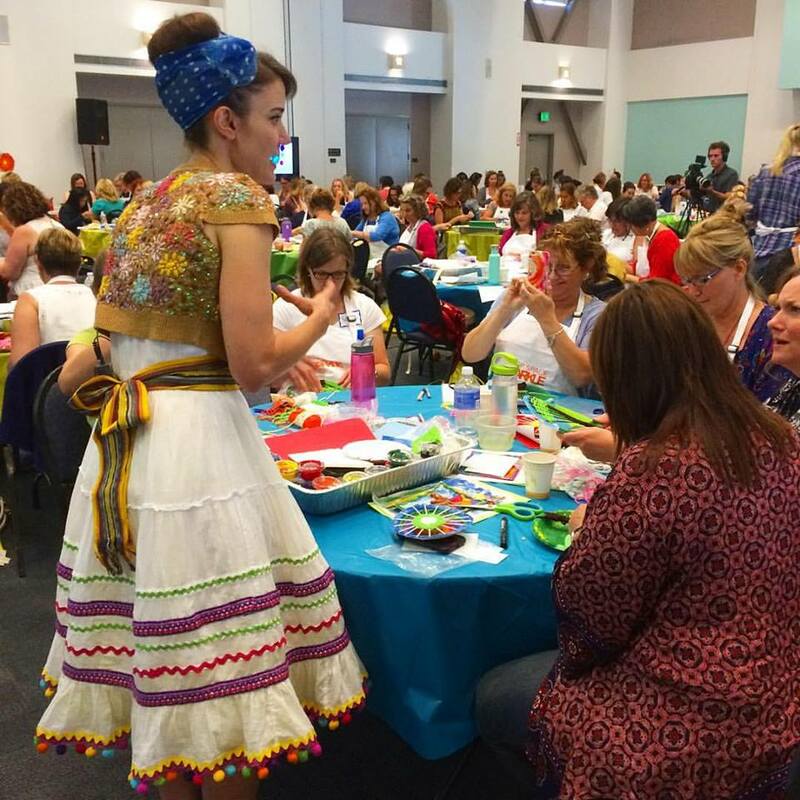 So many lovely ladies who have one thing main thing in common: the desire to teach creativity to children. Can you ask for a better bunch? I was up right after Patty (tough act to follow much?!) and, I'll admit, I was a wee bit nervous. I've presented on a much smaller scale before but nothing like this. I was mic'ed up, there was a film crew and close to 200 folks in the audience. However, being with such a wonderful group of ladies who quickly became friends really put my mind at ease. 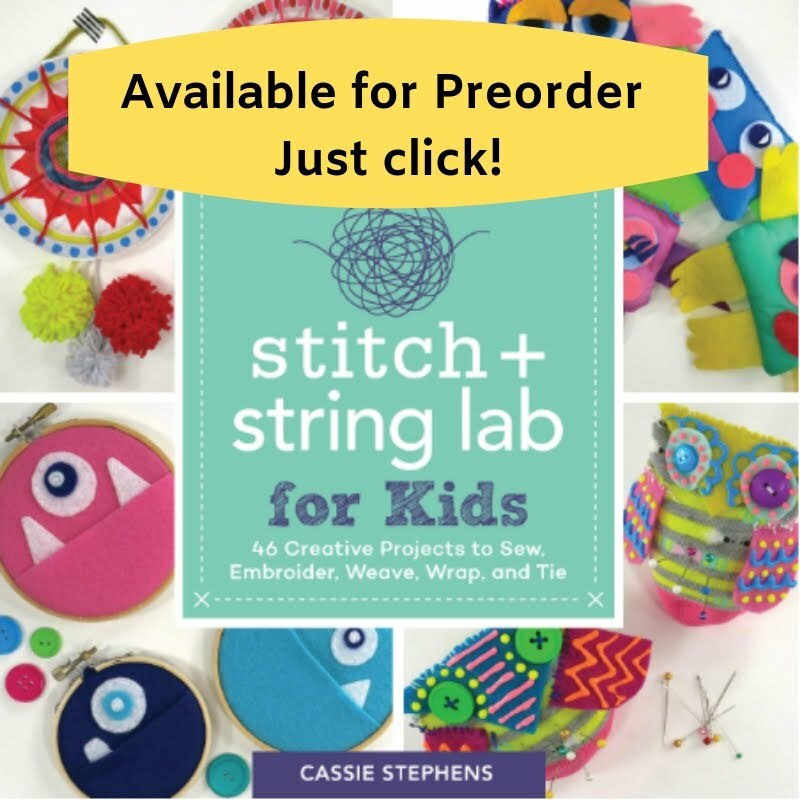 I shared with them something I do so love: fiber arts! 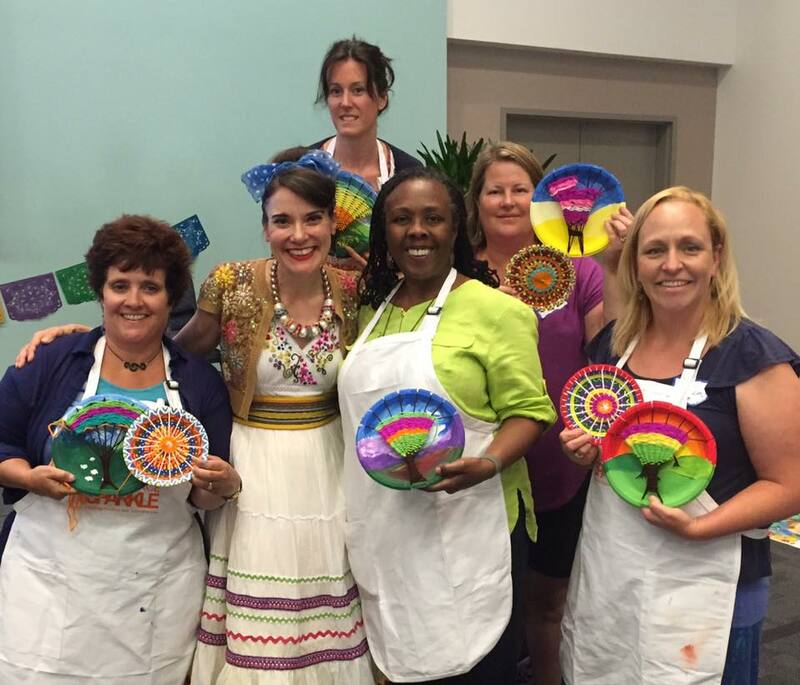 On our first day together, we prepped and painted our plates for circle loom and tree weaving. And look how pretty! Oh my! I loved each and every one ever before the addition of the weaving! Next up was the always-awesome Laura! 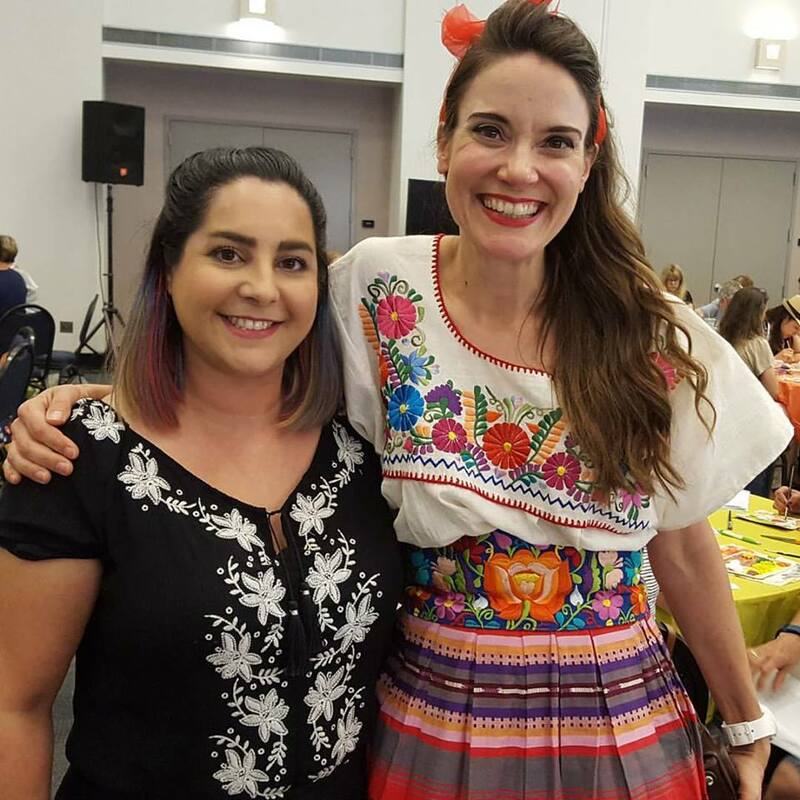 I love her painted apron and Frida crown, don't you? Laura shared with everyone her super spectacular technique of teaching painting to children...without the mess of water. I'm so ready to give this a go in my art room this year. 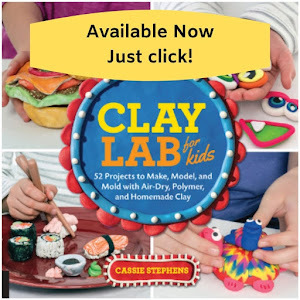 She also shared her love of Crayola's Model Magic clay. The ladies had a fabulous time exploring and creating with this medium. Each creation was so much fun and completely unique. Someone was loving the beach as much as I was! The patterns was what struck me with this piece. 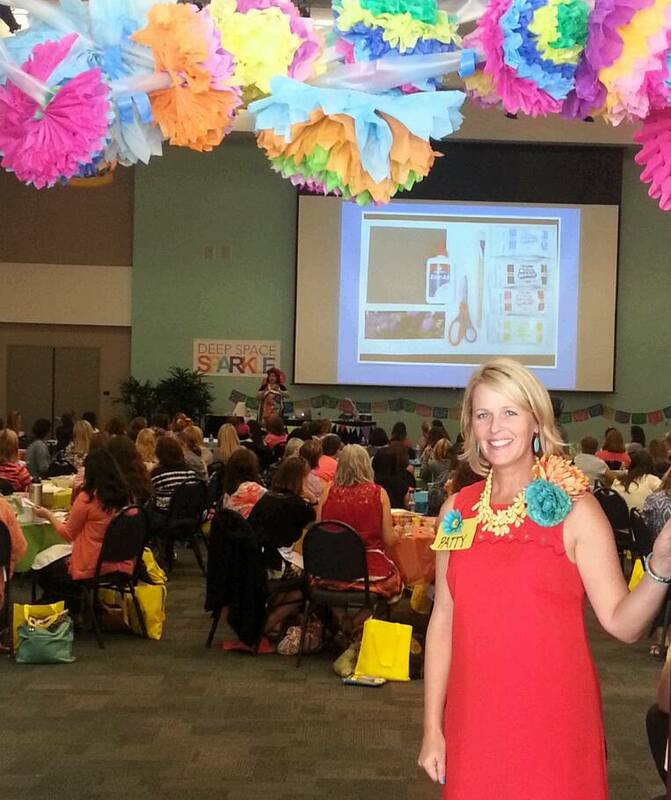 To wrap up the first day, Patty hosted a lovely fiesta. Complete with delicious food, drinks and a chance for everyone to mingle and make new friends. It was such a pleasant way to end the first day. 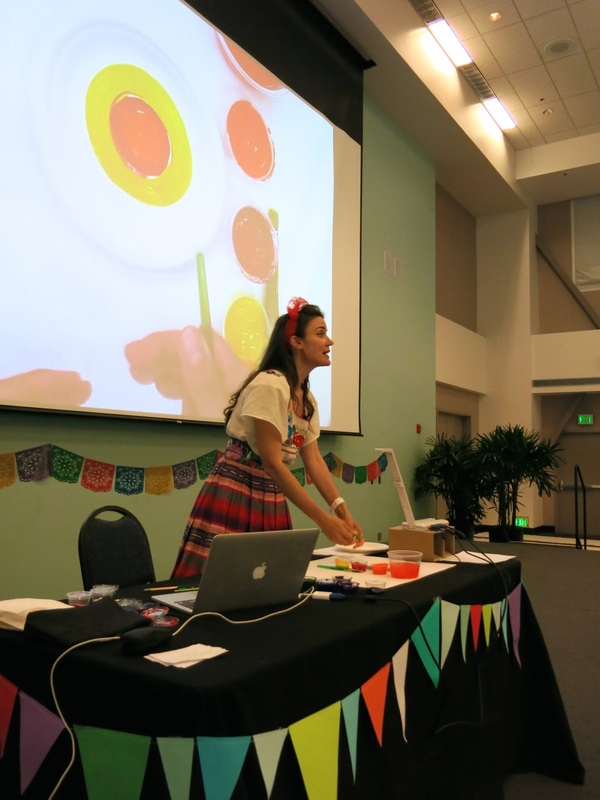 The following day, we started bright and early with a fun Mexican tile printmaking project taught by Patty. I've never tried printmaking with water-soluble oil pastels but now I am itching to give it a go! Now that our plates were dry, we were ready to dive into tree and circle loom weaving. Weaving can be tricky to teach to a room 200 folks. To do so, I'm simply explained the process as I do to my students: slowly and simply. The weavings turned out so beautifully. What I love about teaching is that folks come up with their own unique ways to problem solve. We had fun sharing our different ideas and thoughts about approaching weaving with children. From there, Patty did a wonderful portrait lesson featuring Frida Kahol. And Laura shared two fun projects that were both colorful and bright: large marigold paintings and a still life collage. This is a project I so want to bring back to my art room. Patty wrapped the Workshop with a final project (not shown) and a good ole Q & A session. Then, sadly, we had to say goodbye to our new friends. I managed to get a couple of photos...but many were pulled from Instagram, Facebook and Twitter. Thank you for sharing those photos, new besties! Masters of the Art Teacherin' Universe (and weaving!). And the super sweet and adorable Leann. 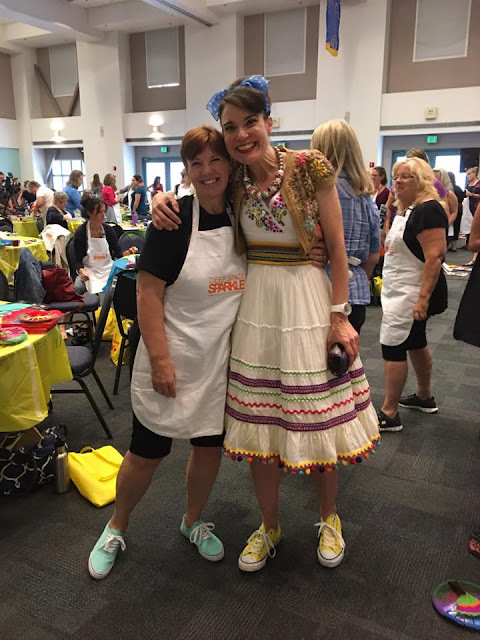 Making new friends is always my favorite part of workshops! It was such a fun weekend of connecting, creating and, well let's be honest, being in sunny So Cal. BIG THANK YOU to Patty for having me join her wonderful Workshop. Until next time, y'all!